Corporate Social Responsibility is the area in which companies can truly make a difference in disadvantaged communities. It is about building trust and relationships among the communities you work with. At Casidra, we take this responsibility extremely seriously not only on an organisational level, but also on an individual (employee) level. The nature of work that Casidra does amongst the communities is primarily about social upliftment. 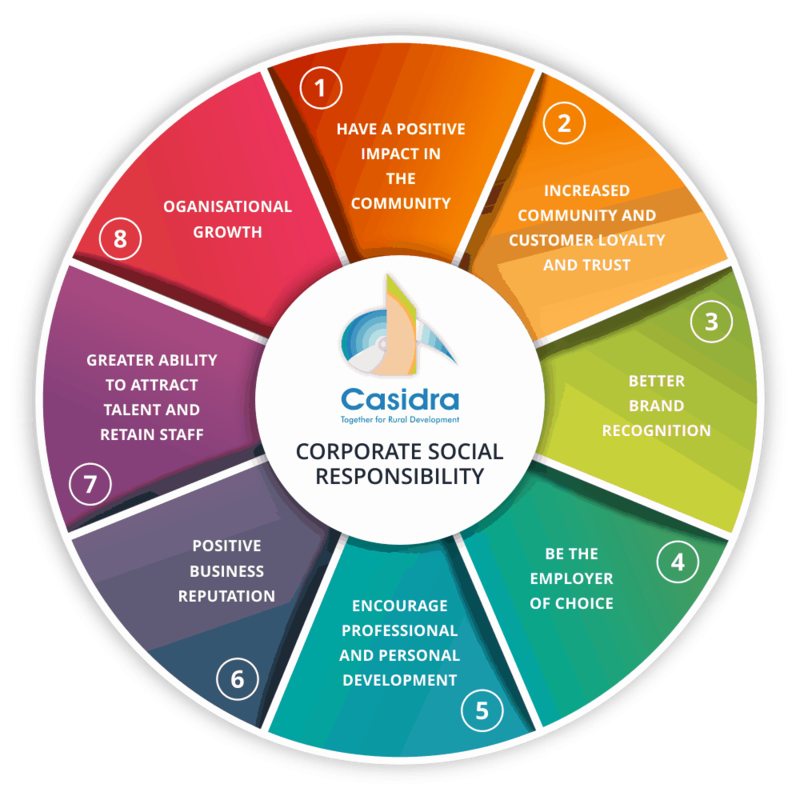 Casidra’s aim is to improve society in some way or another in the form of donations, by supporting non-profit organisations or by implementing environmentally-friendly policies in the workplace. The purpose of all these efforts is to ensure that our company invests in social projects that help uplift the society and communities in which we operate and conducts its business in an ethical manner. This means taking the social, economic and environmental impact, and consideration of human rights into account. We believe wholeheartedly in giving back and supporting the local community. Our organisation and staff are committed to supporting disadvantaged communities and beneficiaries throughout the year, namely CANSA Shavathon, Casual Day, Mandela Day and the Pebbles Project as well as unforeseen disaster. Furthermore, our support extends to needy communities which send us requests from time to time to assist them with donations/assistance such as computers, library books, needlework material and the need for internships and learnerships, volunteerism and training.